Introducing Timothy, the cheerful oil burning steam engine who loves being useful! This friendly engine comes with magnetic connectors so you can connect and play with other Wooden Railway engines. Each Wooden Railway engine is constructed from premium wood materials and a likeness to the character. 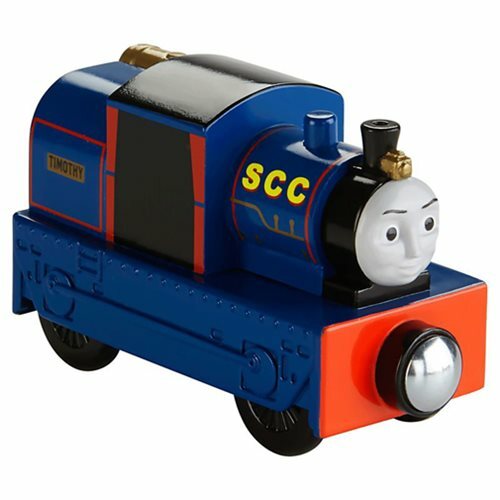 All aboard to fun city with this Thomas and Friends Wooden Railway Timothy Vehicle! Ages 2 and up.